The MOD Method is a new approach, it’s a methodology, it’s a philosophy. It’s a highly-structured workflow designed just for you: the producers of tomorrow who do everything for themselves. It’s a way of dividing and conquering each phase of the production process and outpacing other producers who work randomly and bounce around “multi-tasking”. The MOD Method will redefine how you approach the studio. It’ll give you the tools and inspiration to start creating and finishing music that you’re proud of. It’s been a minute since I’ve personally hosted a course. During my hiatus from teaching, a veritable tornado of ideas and new inspiration has been bubbling up inside me. You have no idea how much new material I have to share with you and how passionately OBSESSED I am with your success as a producer. In this new course, I’ll be dishing out everything I’ve learned over the past couple of years. All the new techniques, pro-tips, plugins, and workflow hacks. As usual, I’ll be holding NOTHING back and giving you the goods, straight-up, just as if you were in the studio with me. Everything I’m going to share has been tried and tested in real projects, learned from actual experience, and actually produces RESULTS. This brand new series is called The MOD Method. The MOD Method is a new approach, it’s a methodology, it’s a philosophy. It’s a highly-structured workflow designed just for you: the producers of tomorrow who do everything for themselves. It’s a way of dividing and conquering each phase of the production process and outpacing other producers who work randomly and bounce around “multi-tasking” their way into minutia and stagnation. The MOD Method is for you if you’ve already got a good handle on the basics and you’ve been producing for a while. This program is not for beginners. If you’re just getting started, check out our Ableton Live 9 Jumpstart course, the Producer Bundle or Synthesis 101. Have you been getting stuck with your tunes? Have you been having trouble staying inspired? Do you ditch partially complete songs and just start new ones? Do you find yourself getting lost in the details? Do you take FOREVER to finish a track or never finish anything at all? Are you unsure when a song is done or ready to mix? Do you feel overwhelmed with everything you need to do to write a song? If you answered yes to any of these, this course is for you. MOD means modular. In The MOD Method, I break down the music creation process into it’s components. You learn how properly break down your creative workflow so you never get stuck, never lose inspiration and always know exactly what to do next. Do you mix into your mastering chain? Why is it a Month Long? The MOD Method is intended to be a month long course, 1 session per week. 30 days is the exact amount of time it takes to build a new habit. Also, if you want to achieve that critical mass, that tipping point that yields the success you want with your music, you’re aiming for releasing a new song every month. If you’ve never written music at that pace before, this will be a good way to see what it’ll take. You may not know me personally, but I’m not in this to make bank at your expense. That’s why I left a high-paying corporate job, ditched the golden cage, and started Warp Academy. I do this for the love, and I feel truly blessed to be able to pass on the knowledge I’ve gained. I’ve decided to make things more affordable for you and price The MOD Method at $156. That’s $39 a session, or $13 an hour of training. In exchange for this, I’ve packed more into this single course than I ever have in ANY previous course I’ve launched. Still on the fence? I’m so confident that this course will game-change your music that I’m willing to remove any possible downside for you. 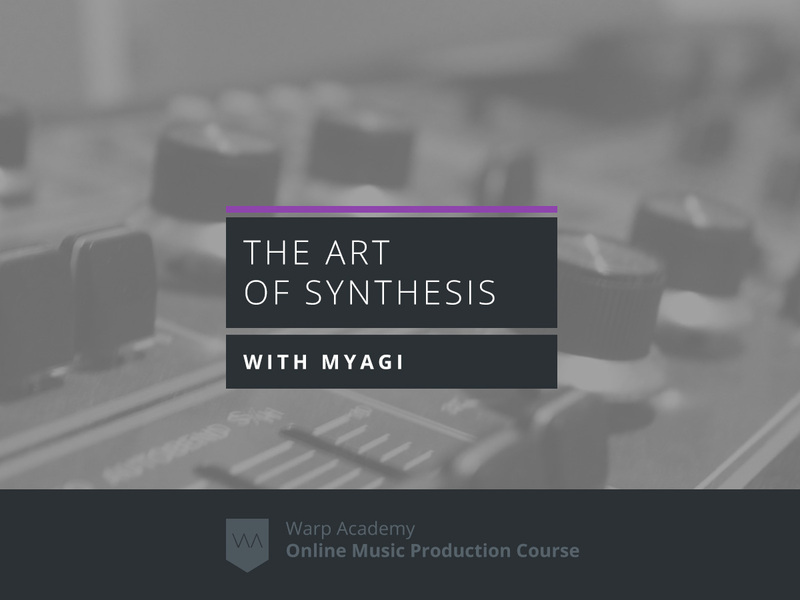 If this course doesn’t blow you away and deliver tons of improvements to your music, I’ll refund all your money. Our guarantee extends a full 60 days, twice what most companies offer. Lifetime access to the video recordings! “I have often done what you said I shouldn’t do. No wonder I find it difficult to write music. Thanks for the advice.” – Zack R.
Vespers is an Ableton Live Certified Trainer focused on developing cutting-edge tutorials and online programs. He’s the CEO and co-founder of Warp Academy, one of three Ableton Certified Training Centers nationwide. His Youtube channel, is one of the most active Ableton-centric communities in the world. In addition to Ableton-related programs, he has also teamed up with industry heavy-weights such as Universal Audio, iZotope, FabFilter, Cableguys, FXPansion, and Sugar-Bytes to provide reviews and tutorials with their platforms. Based out of Victoria, BC, Canada, Vespers also tours and performs, integrating live tenor sax and looping with future bass music to create a unique, jazz-influenced sound. He’s a regular at Canada’s infamous Shambhala Music Festival. 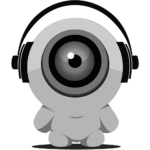 His work has received support from producers such as Ill Gates, David Starfire, and Opiuo. Amazing course! I now have so much confidence on were to start in writing my music! 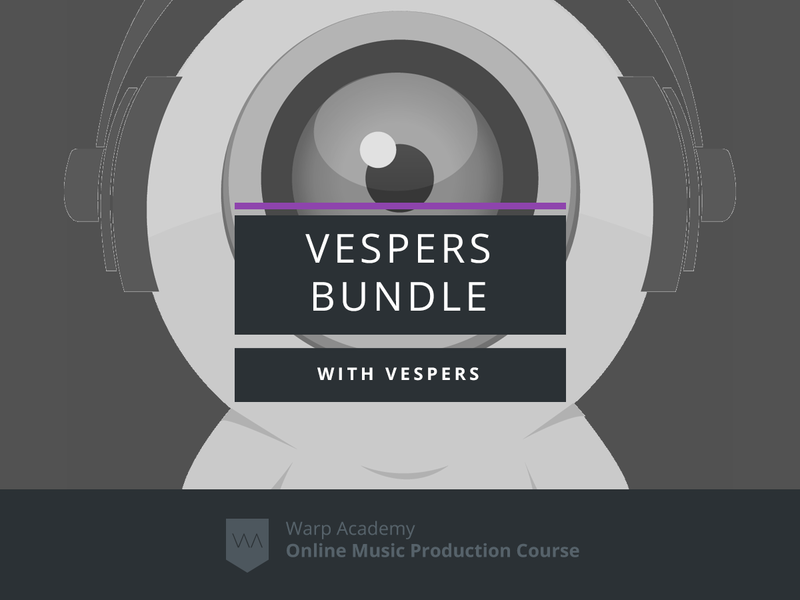 Vespers really has a gift on teaching this content and answering any questions you might have. 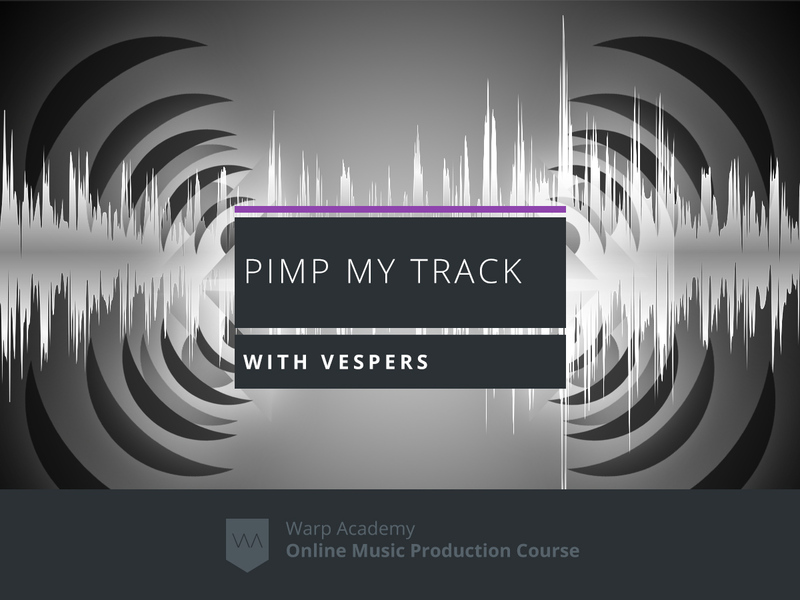 I have done a lot of courses in Warp Academy and this one glues them all together to make you write the music YOU want to make! THANK YOU Vespers!! I am always on the look out for new ways to approach writing tracks. 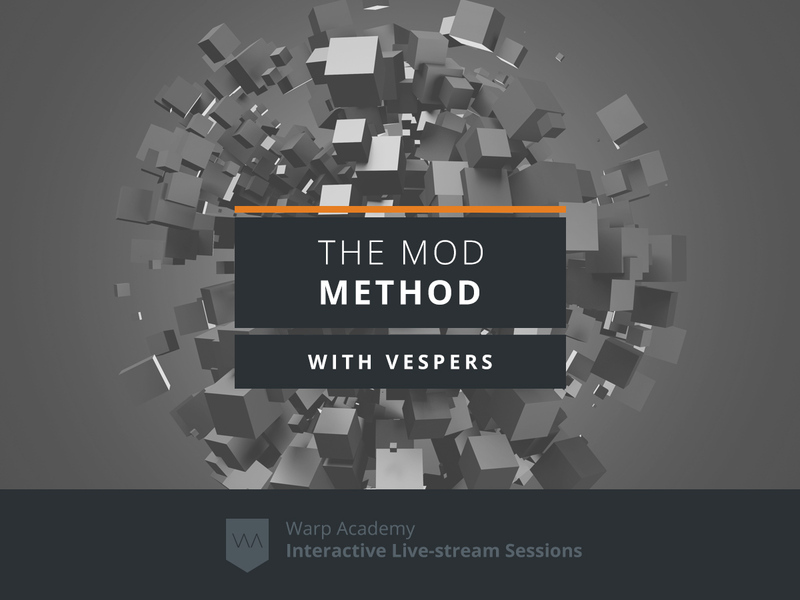 Vespers’ really shares a lot of in-depth information and definitely satisfies the “how” and “why” behind his approach using the MOD method. If you are anything like me and come from a non-music theory background this course will not disappoint. If you are looking for music theory or a how to, those (Blitz Bass, Blitz Beats, Mixing and Mastering, Music Hacking (including the 4 hour song), Music Theory, Art of Synthesis) are elsewhere on the site and are so far excellent as I’ve completed half or so. It is implied that you know all of this other stuff already and it will help you get the most out of the workflow. All in all, this course was something I had been looking for – how to make a foundation, a skeleton, a frame on which to build. 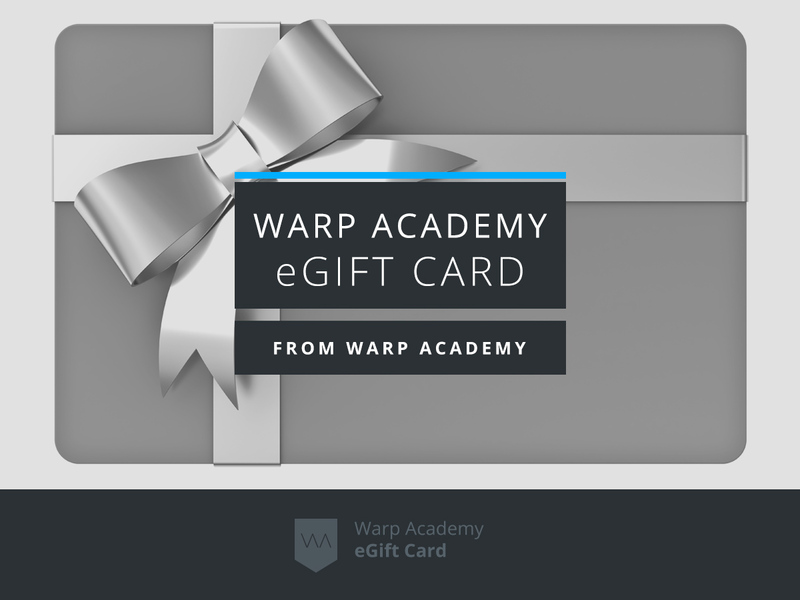 There seems to be a multitude of options and if you are at all familiar with what Warp Academy has to offer, this is a good course that seems to wrap up everything else into a tidy package. This is definitely something that you can take from and make your own.